Society is undergoing enormous disruption due to the continuous adoption of new digital technology and the forest industry is poised to take advantage of some of these. But successful replacement of longstanding and proven technology and forestry systems and meeting new information needs doesn’t happen by chance, and there is considerable risk to avoid failed implementations, waste of money and resources through duplication of effort. The level of expertise required to take advantage of new technology is considerable and constantly changing proving challenging for individual companies to know where best to concentrate their future investments in their systems. 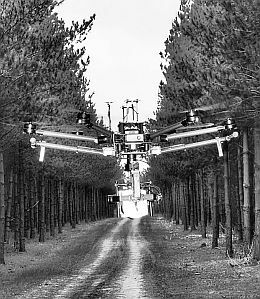 Accordingly, the University of South Australia (UniSA) has been engaged by Forest and Wood Products Australia to develop an investment plan for Resource Modelling and Remote Sensing to establish a blueprint for research, development and extension for the Australian plantation sector from 2018 to 2023, with an outlook to 2028 and beyond to 2040. It is critical for the usefulness of the plan that industry and developer intensions and needs are captured and UniSA has developed a survey to assist with this. Further details on the project can be found here. If able to assist in the survey, please click here. The survey will close on Friday 15 February 2019.